Great little PC Engine hori here. Simple stuff, and it seems there's a huge capacity for score milking. It's also on the Wii as a Virtual Console download. Thanks to lgb for maintaining the previous thread. Done! Now to hunt down Ed and find out what his tricks are! Mr Oscuro? Thanks for the X-mas present of including my name in the scoreboards! Saw your post yesterday - Going to find my PC-Engine ROMz (I've got it narrowed down to two hard drives) and see if I can't duplicate this on Ootake. 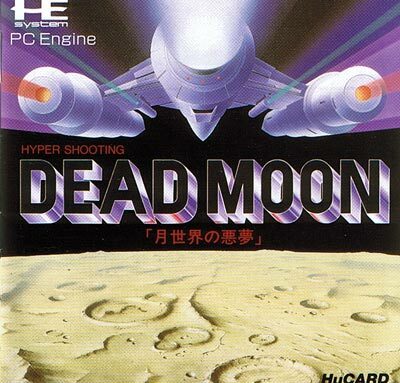 I'm pretty sure most everybody was using Magic Engine, like me, though. It wasn't a tough trick or anything, I'm very surprised nobody else has been able to duplicate it. maybe the scoring tricks have something to do with the asteroids on stage 2. But how are they being destroyed with? Because when I was playing it, I was in mid-stage 2 with a blue beam and missiles, and while I am battling the invaders, I nicked one asteroid while I got hurt. So how are they being destroyed? I love Ed's cryptic help here! So it is about shooting them and not flying some special route through? If tinotormed's had no luck with missiles, maybe the pods on full speed can help take down the 'roids? I finally figured it out! However, to do this one you must set your Fire button with it's Turbofire setting! - You must have yourself armed with a yellow 5-way multi-shot, and once you see them, shoot the asteroids down quickly before they reach the opposite left of the screen! Maybe I'll be uploading a video of it soon! And a new score I hope! Seriously - it would be great to see a video. one Asteroid = 1 million? Yellow weapon and one asteroid = 1 million sounds vaguely right (I honestly don't remember correctly, but the part about needing a specific weapon does sound right). And in roll the asteroid poppin' scores! Well done PlasmaBlood. I don't think the asteroid gives you 1mil, because when I was practicing this, I got about 800k. So I plan on playing this game for the WR score during my sem break, with at least a target of 6mil with an ALL. Finally, a world record with a No Miss ALL! Should have picked off one more asteroid in stage 2 and I should have gotten a tighter score! Anyways, I finally have my moment! Wow that's crazy, a WR for sure? Wow - amazing work! Does anybody have a place where we can verify this as a WR? What was the previous WR? I know, but after I tried searching the internet, there hasn't been one yet. But in Twin Galaxies, the score estimaties about 2.5 million by Andrew Furrer. I can truly manage that after scoring this huge one. ...when I was practicing this, I got about 800k. Edit: According to my calculations, a single asteroid can give you a score of 777,700. Twingalaxies doesn't accept scores done with autofire, unfortunately. Shooting those missles on the stage 3 boss can be done infinitely. There's a safe spot too. The game rolls over after 99,999,900 points. I already tried it, but my recorder has limited value so I cannot waste time on this stage. Stage 5 mid-boss can be milked either. Stage 3 boss is easier. You can just leave your guy there forever, shooting, without having to move. I know, and it works. I struggle with this for ages! Don't use the bomb that comes up near the end of the level (stuff you kill with the bomb doesn't appear to count towards the total). Lost 1 measly life in the mid-form of the skull. And I agree with you about the red weapon, spadgy! Last edited by Kollision on Thu Jan 20, 2011 2:30 am, edited 1 time in total. Damn, you sure definitely have got skill, boy! I only 1-lifed this game though. Oh, and regarding that mid-form, time your movements carefully while shooting at his heart, by a few taps up or down. The best weapon against him would be the blue beam or the yellow 5-way shot.